Let’s talk more about one of our favorite topics: travel! Whether it’s for work, leisure or another purpose, there are a couple of tips I’d like to share based on my experience. Okay, the first topic is about flights. I know that flights can be expensive and it’s very tempting to choose the cheapest option right away (of course, this is different in a world where you can afford business class trips!). However, let’s keep in mind that we need to check some criteria before picking the cheapest flight available: total duration, connections, airport, time, and airline. I’ll go over each topic to explain why just the cheapest option isn’t always the best option. Often an overlooked item. How many times have I booked a flight which departed at 9–10am thinking “oh, that’s not too bad”, only to regret on the day of departure? Especially if you’re traveling internationally, a 9am flight means you need to be at the airport at 7am (okay, check-in usually closes at 8am, but we don’t take risks). That means you would have to wake up at least 6am, if not earlier. More often than not, airports are far from the city center, and it might take up to an hour to get to an airport. If you want to take public transportation, you have to make sure it’s operating during the times you need to travel, and both ride apps and taxis are more expensive in the middle of the night or early morning. So yes, that 6am flight with a very appealing price might end up more expensive than the slightly pricier 11am flight because you’ll have to spend much more just to get to the airport. The same situation applies to arrival time. You have to consider the transportation costs getting to and from the airport before choosing a flight because these “little things” add up during your trip and you won’t even realize it until it’s too late. And that’s not to mention your energy levels. Especially if you are traveling for work, being able to rest is crucial and it’s just a bad idea to sacrifice sleep and your individual performance afterwards because you chose the cheap flight that made you wake up at 4am to go to the airport. This one is very important. If the price difference between a direct flight and a flight with connections isn’t huge, don’t think twice before picking up the direct flight. My suggestion is to calculate a rough maximum difference you’re willing to consider. For example, if the difference is up to $100, you’d still choose the most convenient flight. An airplane isn’t the most healthy environment there is; oxygen levels are lower (as if you were in a mountain 6k meters high), you get dehydrated, and it’s common to feel worn out after a long-haul flight. If you can make your time inside an airplane as short as possible, go for it. Plus, you’ll arrive earlier at your destination and have more spare time, which is immensely valuable these days. It’s a win-win. If you can avoid them, do it. If you don’t live in a big city, it will be hard to avoid them entirely (the same applies to more obscure destinations); but you can choose smarter. If possible, you should avoid a long-haul flight. I often see amazing deals with stopovers in countries that are completely off your itinerary. Again, if you can afford to resist the price temptation, don’t, as the journey is probably not worth it. Another thing to consider if you need a connection is how much time you’ll have at the connecting airport. Please remember to be careful with connections of 2 hours or less. If the flight is delayed, if the security process at the airport takes too long, if you need to go through immigration… It all takes time. Plus, your luggage might not even have time to go from one airplane to another and luggage is often delivered with a delay in those circumstances (believe me, it’s a hassle when it happens). The last thing you want is to have to rush going from one gate to another, so think about the connection time. If you happen to lose your connection, you’ll have to take another flight and you might lose an entire day, or more, of your trip because of that. Imagine if you’re attending an important work appointment; you might miss the whole purpose of your trip because of something beyond your control. It’s true that, in most cases, you don’t really get to choose which airport you’ll depart from or land in. However, some cities have more than one airport and it’s highly advisable to check where they are located. For example, in Europe, there are many low-cost airlines which operate in small and distant airports. As I explained before, the journey to and from the airport can present a significant obstacle itself and can be very pricey. Sometimes, it seems there’s a very nice low-cost deal, but the airport the airline operates out of is not even remotely near the city you’re flying from or to. I’ve experienced this myself, I once missed a flight because the bus that was supposed take me to a remote airport didn’t depart frequently enough, and there was no other easy way to get to the airport. These airports are only worth it if you have plenty of time to travel and to rest, often not an option for business trips. In the case of multiple airports located in the same city, consider how much you’d spend getting there. For example, São Paulo has two airports, and flights from and to Guarulhos are usually cheaper than those to and from Congonhas. However, traveling to Guarulhos is a lot more expensive and takes a lot more time, so when you compare total costs, Congonhas is more often than not actually the best option. Another very overlooked item, though I do agree we can’t always have the luxury of choosing an airline. Although economy class won’t be the best thing in most cases, airlines do make a difference. Some airlines are better than others when it comes to customer service and seat arrangement/space, for example. For long-haul flights, this can be a huge difference as you will arrive in a much better condition and mood if your flight was a pleasant one. We often ignore how tired we can get on a trip and how much it can affect our energy levels the next day. Another frequent drawback of budget airlines is that they usually don’t allow you to check in luggage for free. So if you do have luggage with you, remember that this cost can really add up at the end. Be slightly wary of price comparison sites. It has already happened to me a couple of times: these search engines failed to show all of the available options. If you’re struggling to find a good flight through those apps, consider a manual search directly the airline’s website. You might find some good hidden deals. It’s also easy to fall into similar budget traps when choosing where you’re staying. 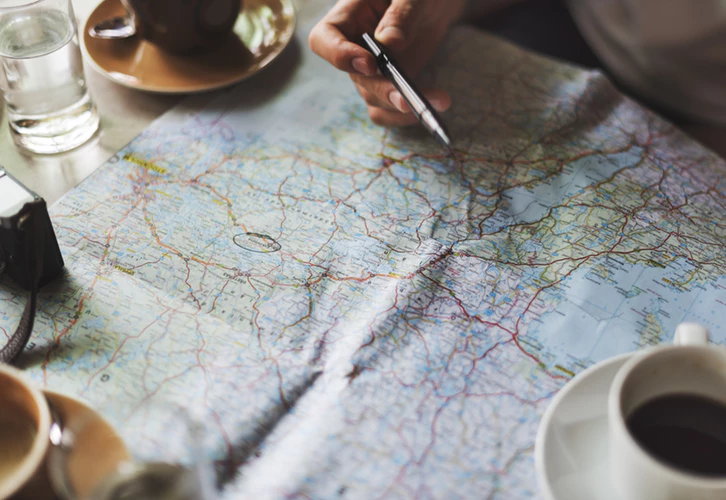 Location is crucial since you might find a very nice and cheap place that is just way too far from where you will be spending most of your time during your travels. Research transport costs in the city you are going to, how it works and how much you will be spending on that. Sometimes, it’s just not worth booking somewhere far from the center (or place of interest) since the cost with transportation will outweigh the benefit of paying less for accommodation. Don’t ignore small extra costs, since they can make a huge difference in the long run.